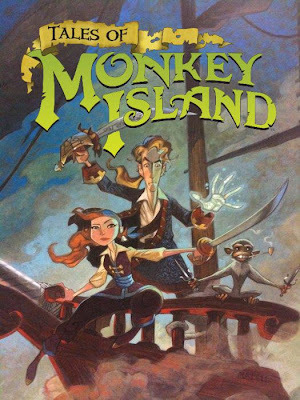 Steve Purcell's Tales of Monkey Island cover art has been revealed. The art is a giant picture at the PAX game show. They are also selling the art in poster form at the show as well, so if you're one of the lucky ones who were able to get a ticket to the show, stop by the Telltale booth and buy yourself one! UPDATE September 6, 2009: Telltale's Twitter page has a better image of the artwork up now.